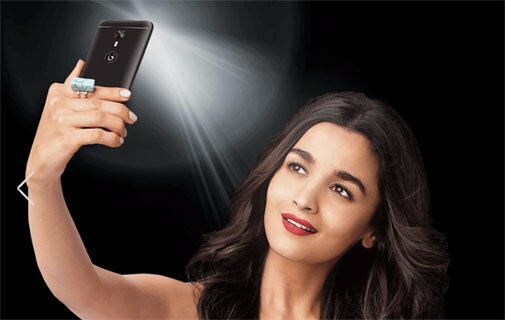 Oppo, Vivo and Gionee - these Chinese brands are using "selfie camera" factor for selling their smartphones. These brand looks more obsessed with selfie camera than public. They are focusing and making the Secodary camera much better than the primary camera. Don't know why they all are ignoring the rear camera. 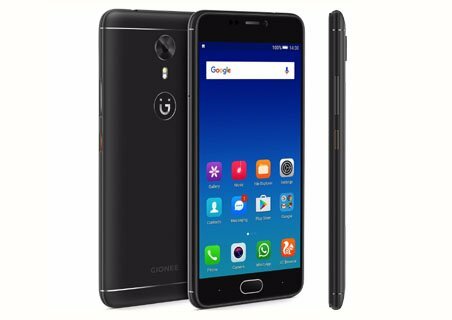 Apart from camera here Gionee A1 has key features like 5.5 inches AMOLED display, MediaTek MT6755 Helio P10 CPU, 13 MP Primary | 16 MP Secondary camera, 64 GB ROM | 256 GB External SD Card support, 4 GB RAM and 4010 mAh battery. The craftsmanship of Gionee A1 is pretty well, As according to claim of the company, phone built in using A6000 aircraft-grade material and feels compact and sturdy while holding in hand. It also has 4010 mAh battery which causes an increment in weight of the phone (181 grams). The keys like volume and power buttons are on the right edge. Micro-USB port along with speaker are located on the bottom, while the 3.5mm audio jack fixed is on top. The Visual experience of Gionee A1 is very pleasant as it is featuring 5.5 inches AMOLED panel having Full HD Resolutions & 401ppi display density. Everything looks neat, vivid and sharp. watching movies in this handset is fun because of display clarity and very comfortable sunlight legibility. You can enjoy the media content from wide viewing angles without depleting the quality. But in the end, Gionee forget to cover it with Gorilla Glass display so you need to use a screen protector. This phone is highly marketed as camera phone. The rear side you will get 13 MP Camera with F2.0 aperture and Sony IMX 258 lens and secondary camera has 16MP sensor with AF system that can take surprisingly sharp and detailed selfies. If you are at some place with poor lighting condition and want to take selfies there is no problem as phone has front camera flash to help. The front camera is appreciable but the 13MP rear camera takes photos with little artificial sharpening and in the case of poor lighting environment noise appears. but overall both the camera verify its price up to great extent. This is new Smartphone of 2017 having 2-year-old Mediatek MT6755 Helio P10 processor, This chipset is definitely capable of running multiple tasks smoothly but the key problem is the heating issue. On intensive gaming and long calls phone starts heating up which is annoying for a device with such an optimized configuration. Apart from heating, it can run many graphic intensive games without any frame drop which is on the positive side. Because of 2.0 GHz octa-core processor and 4 GB RAM phone can be used in multi-window view & quick switching between apps is possible. On the Software department Phone has Amigo OS based on the Android v7.0 Nougat supporting the features like mood wallpapers, GIFs and over 1300 emojis. For the power hungry user, this device is very suitable as it has 4010 mAh battery that charges real fast and gives you 2 days of usage and Standby Time About 400 Hours on a single charge. It also features smart technology along with battery saving modes to keep you always on & connected. Choose from 3 power modes to power through the day. This huge battery can be charged quickly by 18W Fast Charger provided in the box. Premium and compact built quality. Huge storage with 64 GB Internal and 256 GB SD Card support. The front camera also featuring LED Flash. Support Dual Nano SIM Cards. Good 16MP Camera for Selfie Lover. 4010 mAh battery with 2 Days backup. Lots of preinstalled non-removable bloatware. Not a pure Dual SIM supported phone. The phone also has Heating issue while processing-heavy tasks. Battery is non user removable. No Special protection for the display like Gorilla Glass. Feels slightly heavy in the pocket with 181 grams weight. Gionee A1 is one of best good looking phone under 20K INR built with A6000 aircraft-grade aluminum, front camera takes amazing pictures but the rear camera performs mediocre. 64-bit Octa-core processor coupled with 4GB RAM makes smooth lag-free multitasking although intensive use causes heating in the smartphone. The battery also runs as expected even heavy user can easily get the battery backup of more than 1 day. But 20K smartphone segment is highly competitive there are already phones like Lenovo P2, Samsung Galaxy J7 Prime and Oppo F1s.